I’m constantly looking for new dinner ideas. Meals that are quick and easy—and of course, kid-approved. The one word I hear over and over again when I ask my kids what they want for dinner is PIZZA. We’ve taken to making our own pizza together as a family because it’s a fun activity and pizza’s so versatile. But you know what’s even easier than making pizza? 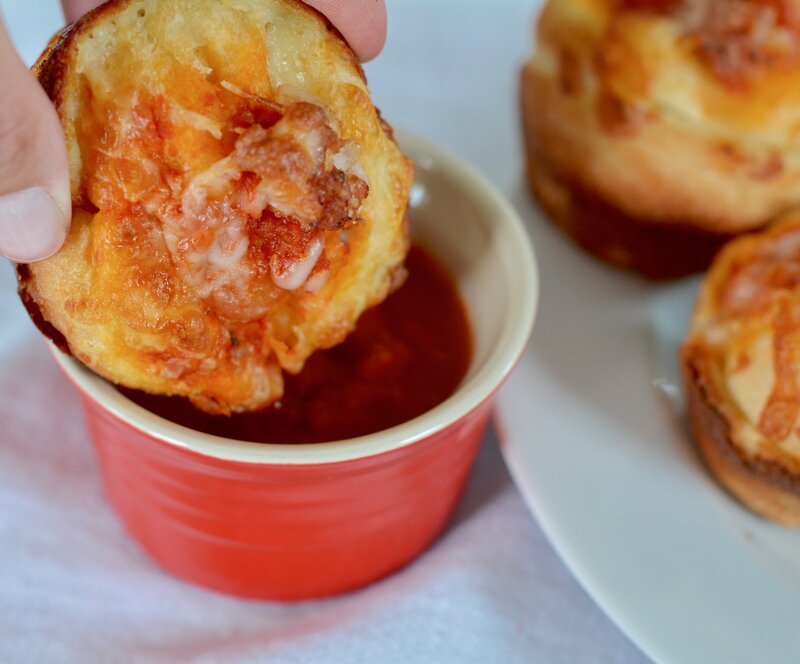 Pizza muffins! 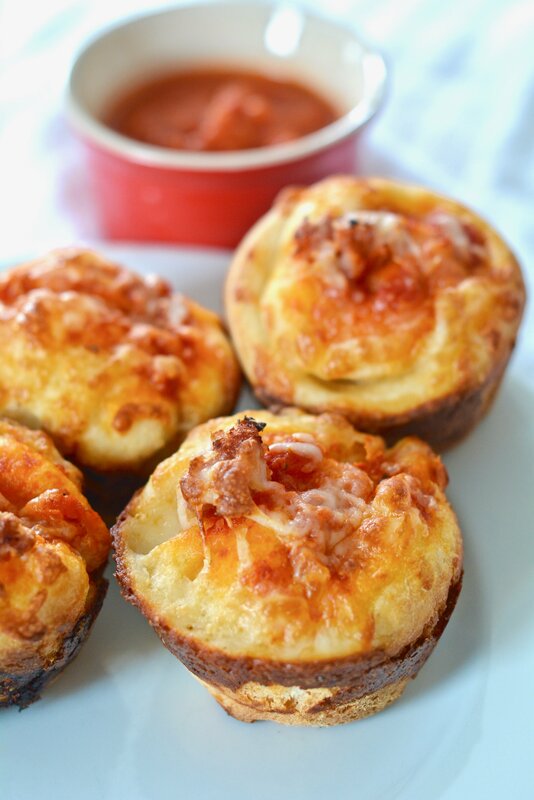 Pinterest-friendly pizza muffins are a quick meal that I actually have time to make even with our crazy sports schedule, and they can be eaten on the go. 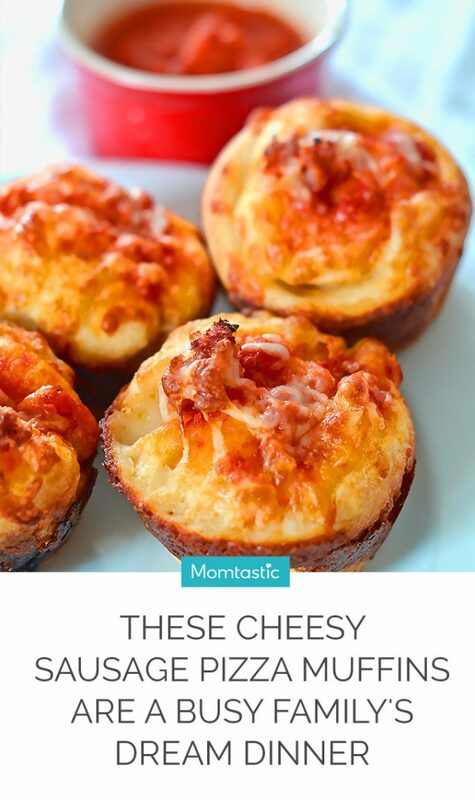 Plus, pizza muffins pair well with soup, salad, or pasta and make an easy lunchbox treat. 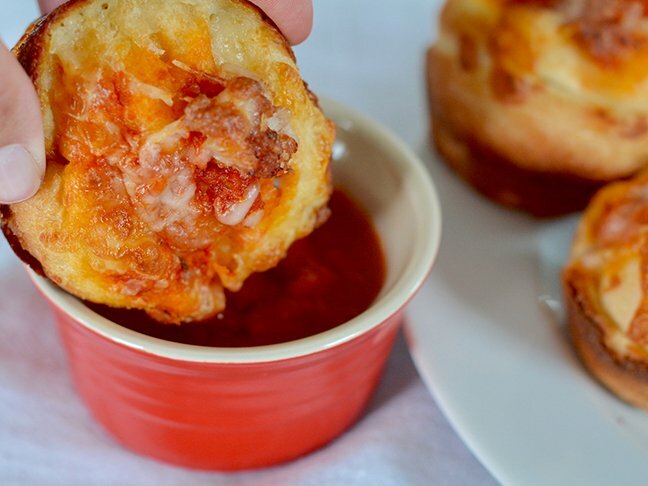 The basic pizza muffin recipe requires only dough, cheese, sauce, and melted butter, but you can add whatever fillings and toppings that your family’s currently craving. I put sausage in mine, but these little guys are a great vehicle for hidden veggies, too (shh!). Follow my simple recipe below to make your own pizza muffins, or hand the ingredients over to your kids and let them make dinner for a change. Step 1: Preheat the oven to 425 degrees F. Apply non-stick spray to the cups of a 12-cup muffin tin and set aside. Step 2: Pinch the dough into 12 even-sized pieces (about the size of golf balls) and add them to a large bowl. Toss the dough balls with the melted butter. Step 3: Add one dough ball to each muffin cup. Make a small well in the middle of each one and use 3/4 cup of the pizza sauce to add a spoonful of the sauce to the center of each well. Then add even amounts of sausage to each roll, followed by even amounts of cheese. Reserve the remaining 3/4 cup of pizza sauce for dipping. Step 4: Bake the muffins for 10 to 12 minutes, or until golden brown and cooked through. Step 5: Warm the reserved pizza sauce and use it for dipping.